← Loren Coleman Reviews Monster Hunters! 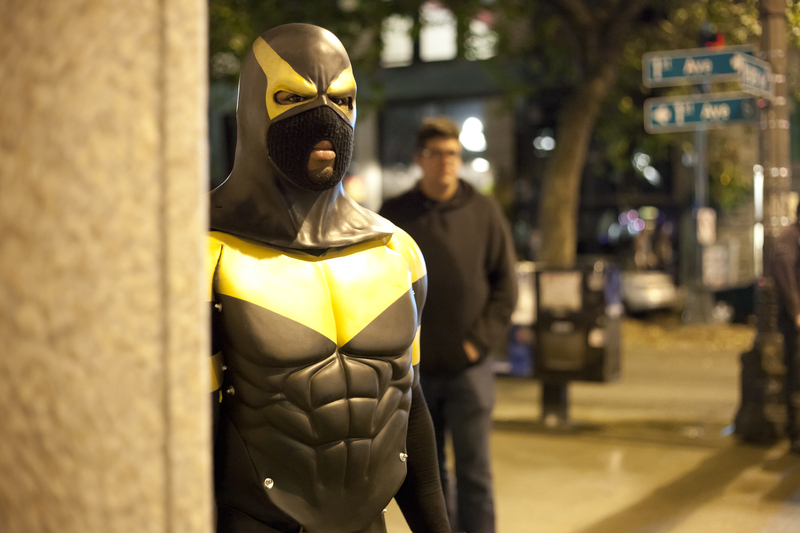 That’s me in the background, keeping an eye on Phoenix Jones on the streets of Seattle. Photo by Lucien Knuteson. Oh boy. In 2011 I was starting to do a wrap on Heroes in the Night. I felt the book was lacking a good action sequence, and I sure did get that when I paid a visit to Real Life Superhero Phoenix Jones and his Rain City Superhero Movement. I joined Phoenix out on patrol for two nights. On the second night, we saw a fight break out in a parking lot underneath a freeway ramp. Phoenix broke it up by pepper spraying the combatants (Russians, it turned out) and all hell broke loose. In the terrifying 15 minutes or so that followed, Phoenix got hit over the head repeatedly with a high heel shoe, I was punched in the face by a pepper spray soaked Russian, an attempt was made to run us over with a SUV, and at one point I was certain the angry party was searching for a gun to shoot at us. The police showed up and placed Phoenix Jones under arrest and by the next day major news networks around the world had picked up on the story. As the squad car drove off with Phoenix Jones, I realized that my hands were shaking uncontrollably from the adrenaline overdose. 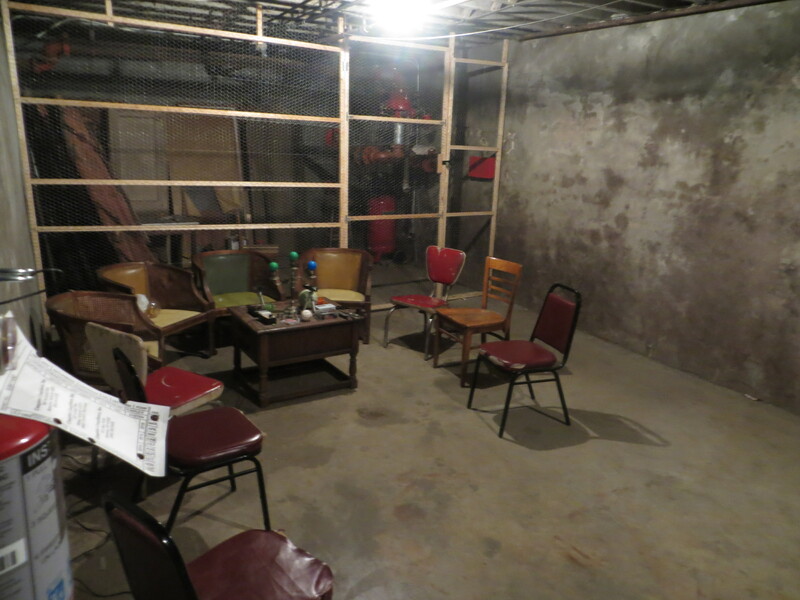 Here’s a photo of the Wall of Faces room I took in Bobby Mackey’s basement, where the strange incidents occurred. This episode has a lot of back story to it. First there is the lore of the place itself (Bobby Mackey’s Music World in Wilder, Kentucky), which is long yarn to begin with. Like any good ghost story, I found the legend has been exaggerated and embellished over time, but some of the gruesome past is also based in fact. The next thing to consider is that the group I followed, the Paranormal Investigators of Milwaukee, had already done an eventful investigation at the location. I don’t want to spoil too much of the chapter, but one group member had an eerie encounter I witnessed where she had some sort of paralysis or possession and apparently experienced some temporary blindness. Added to the other frightening experiences the group had and the creepy atmosphere in general, it made for a strange and scary night. My second strange night while working on Monster Hunters happened while I was camping out with Jim Sherman of the Bigfoot Field Researchers Organization (BFRO) at a farm in central Michigan named “Isabella.” The couple who owned the farm had a number of weird experiences and had contacted BFRO. Jim had been out there to investigate and recorded some strange vocalizations. I wasn’t sure what to think. The last night of the trip I was scared out of my wits by a bloodcurdling screech outside of my tent. 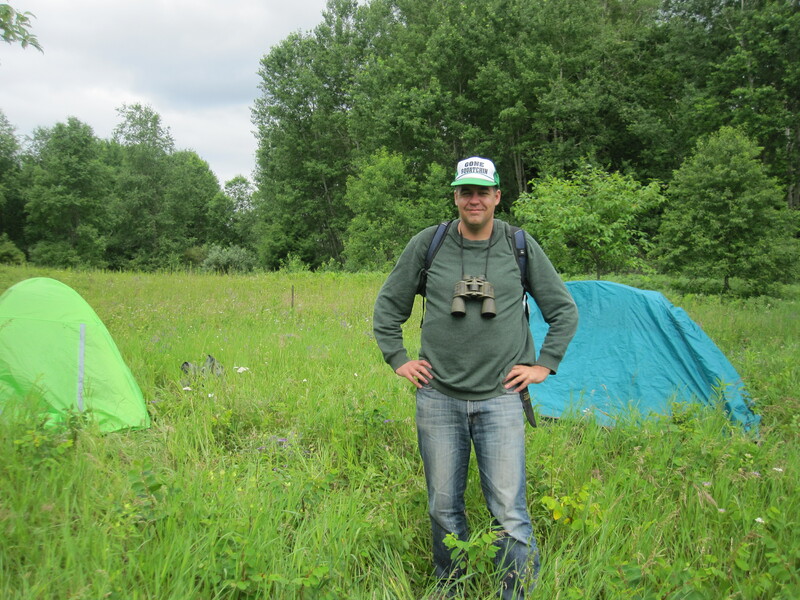 I slowly unzipped the tent door, certain I would be face-to-face with an aggressive Bigfoot. Later analysis of the screech (caught on Jim’s audio recorder) determined it was an angry coyote, but I didn’t know that at the time. To make the night even weirder, Jim and I observed an odd light bouncing around the night sky. What was it? I don’t know, but it was quite unlike anything I had seen before. The ATV shortly before I crashed it. Wow, where to begin on this one. Richard McCaslin aka the Phantom Patriot is a Real Life Superhero, conspiracy theorist, former stuntman, felon, comic book artist, political protestor, and guerrilla filmmaker. I’ve been in contact with him for almost 5 years and have slowly been working on a book about his life and the people, sub-cultures, and conspiracy theories his life has intersected with. I knew I needed to get down to his home environment (Pahrump, Nevada) to get some material, so I recently went down to visit him. While I was there, he asked if I would act in a short superheroes vs. conspiracy film he was writing and directing. Sure, I said. One of the scenes called for me driving his ATV down a desert embankment, and although my first take went smoothly, on the second take I hit a rut and crashed the ATV. I thought for sure I had broken my leg and maybe fractured several other body parts, but after slowly moving around, I found I was still in one piece. That was pretty frightening, but hey, I lived to see another day, right? Posted on May 26, 2015, in Uncategorized and tagged heroes in the night, monster hunters, Phantom Patriot, tea krulos. Bookmark the permalink. 2 Comments.